We are the one and only sponsor of the Boutique Wedding Fair because we believe in the unique style and attitude that sets each of us apart. At the Clandeboye Lodge, our specialist wedding service comes with the royal treatment as standard. And it is precisely because we are specialists that you can find the space and confidence to relax and enjoy the wedding day of your dreams. Our 19th Century schoolhouse is the stage for your big day. The supporting cast includes our beautifully refurbished 43-bedroom hotel, famous Coq and Bull brasserie, stunning gardens and our attentive, dedicated and experienced staff. 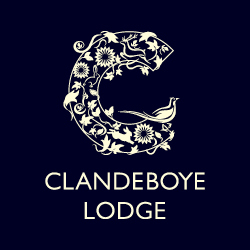 Quirky, boutique, eclectic, alternative – whatever you want to call us, at Clandeboye Lodge we get a kick out of making your wedding happen your way. 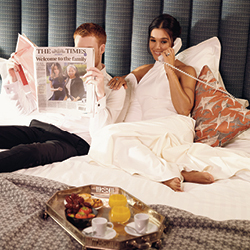 With wedding packages from £50 per person, we cater for every taste and every budget. 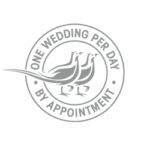 Talk to Ian, Gia, Lorraine or Hannah from our Royal Service Wedding Team today on 028 9185 2500 to book your own personal tour. Visit us at the Boutique Wedding Fair on Sunday 24th Feb, 11am-4pm. 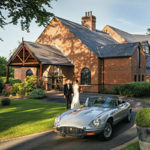 Our own Spring Wedding Fair is on Sunday 17th Feb from 1-5pm. Your day. Our pleasure.